Today, Ange Vierge gets TV anime promo, Three Leaves, Three Colors' Broadcast dub members casted, and Crunchyroll adds Samurai Pizza Cats's main influence. Today, Yakuza 0 heads to PlayStation 4 next year, Dai-Shogun Great Rvolution kickstarter for VR short film, and Crunchyroll to stream Terraformars Revenge. 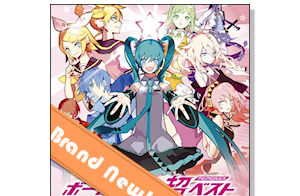 Today, 7th Dragon III Code: VFD to be released in the summer, JoJo's Bizarre Adventure Part IV. Diamond is Unbreakable comes to Crunchyroll, and Berserk TV anime.